This name uses Spanish naming customs: the first or paternal family name is Valdez and the second or maternal family name is Cárdenas. Javier Valdez Cárdenas (April 14, 1967 – May 15, 2017) was a Mexican journalist and founder of Ríodoce, a newspaper based in Sinaloa. He received several international awards for his writings on drug trafficking and organized crime in the Mexican Drug War. Javier Valdez Cárdenas was born on April 14, 1967 in Culiacán, Sinaloa, Mexico. He graduated from the Autonomous University of Sinaloa with a degree in sociology. In the early 1990s, Valdez Cárdenas worked as a reporter for the national TV station, Canal 3, in Culiacán. He then joined the Sinaloa-based newspaper Noroeste and became a correspondent for the Mexico City-daily newspaper La Jornada in 1998. In 2003, he and other reporters from the daily newspaper Noroeste founded Ríodoce, a weekly dedicated to crime and corruption in Sinaloa, considered one of Mexico's most violent states. 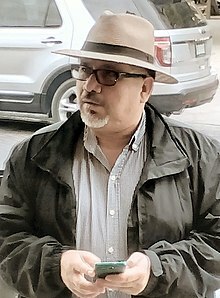 Valdez Cárdenas was also the author of several books on drug trafficking, including Miss Narco, which chronicles the lives of the girlfriends and wives of drug lords, and Los morros del narco: Niños y jóvenes en el narcotráfico mexicano ("The Kids of the Drug Trade: Children and teenagers in Mexican drug trafficking"). In September 2009, Ríodoce published a series on drug trafficking entitled "Hitman: Confession of an Assassin in Ciudad Juárez." One morning a few days after the conclusion of the series, a grenade was thrown into Ríodoce's office, damaging the building but causing no injuries. The attackers were never identified. 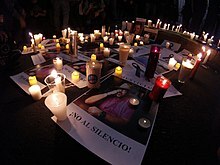 In 2011, Valdez Cárdenas was awarded the International Press Freedom Award of the Committee to Protect Journalists, "an annual recognition of courageous journalism". In his acceptance speech, he called the violence of Mexican drug trafficking "a tragedy that should shame us", blaming the citizenry of Mexico for giving the drug war its deaths and the governments of US and Mexico for giving the drug war its guns. Later in the same year, the trustees of Columbia University awarded Ríodoce the Maria Moors Cabot Prize for journalism that contributes to "inter-American understanding". On May 15, 2017, Valdez Cárdenas was shot and killed by unidentified gunmen around noon, blocks away from the Ríodoce offices in Culiacán, Sinaloawhen he was 50 years old. The murder was condemned by the U.S. embassy in Mexico, the United Nations, and the European Union. ^ Alexander, Harriet (15 May 2017). "Mexican journalist famed for drug war investigations shot dead in Sinaloa". The Telegraph. Retrieved 16 May 2017. ^ "El fundador y periodista de Ríodoce, Javier Valdez Cárdenas, fue asesinado en Culiacá, Sinaloa". Consejo de Redacción (in Spanish). Bogotá, Colombia. May 15, 2017. ^ "Jesús Javier Valdez Cárdenas, el sexto periodista asesinado en México en lo que va de 2017". Proceso (in Spanish). May 15, 2017. ^ a b "Javier Valdez Cárdenas, Mexico". Committee to Protect Journalists. 2011. Retrieved 17 January 2012. ^ "CPJ International Press Freedom Awards 2011". Committee to Protect Journalists. 2011. Retrieved 17 January 2012. ^ Javier Valdez Cárdenas (22 November 2011). "Award Acceptance Speech". Committee to Protect Journalists. Retrieved 17 January 2012. ^ "The Maria Moors Cabot Prize". journalism.columbia.edu. 2011. Retrieved 17 January 2012. ^ Paullier, Juan (15 May 2017). "Asesinan a tiros en Sinaloa a Javier Valdez, el periodista que cubrió como nadie el narco mexicano". BBC Mundo (in Spanish). Retrieved 16 May 2017. ^ "Asesinan al periodista mexicano Javier Valdez Cárdenas, quien cubría temas de narcotráfico en el estado de Sinaloa". Univision (in Spanish). 15 May 2017. Retrieved 16 May 2017. ^ "Mexican authorities say well-known journalist Javier Valdez was shot and killed in the Sinaloa state capital of Culiacan". The Washington Post. 15 May 2017. Retrieved 15 May 2017 – via The Associated Press. ^ McDonnell, Patrick J. (15 May 2017). "Veteran Mexican journalist Javier Valdez is killed". Los Angeles Times. ISSN 0458-3035. Retrieved 15 May 2017. ^ Grillo, Ioan (Sept. 19 2018). "Inside the Brilliant Career and Tragic Death of Javier Valdez," Esquire, Sept. 2018. This page was last edited on 5 October 2018, at 00:26 (UTC).